First time on the market. 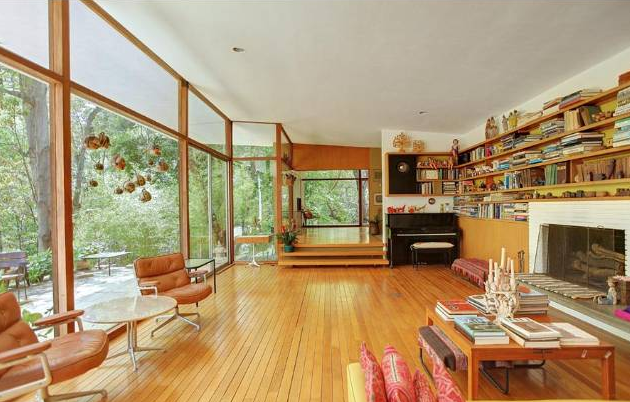 The Feldman House, designed by Gregory Ain, 1954. A masterwork of contemporary architecture by a world-renowned architect. The house is sited amidst a ¾ acre wooded sanctuary which is totally private. The open plan features walls of glass creating an organic interaction between the grounds and the house. The great room is simply breathtaking and extends through the entire length of the house. There are 4 bedrooms, 2 baths with wood floors and built-in bookcases and ample storage together with a 2-car garage. A great opportunity to renovate and expand this soulful work of architecture in an incredible Beverly Hills location.